Honestly I've never needed mental health days like I do this month. When I committed to doing 31 Days of Mental Health I had a set plan and determination to fulfil it. That plan went out the window last week and I've been struggling ever since. I still have a plan but I'm finding I need breaks. I'm still devoted to doing 31 Days of Mental Health but I'm relaxing my expectations. 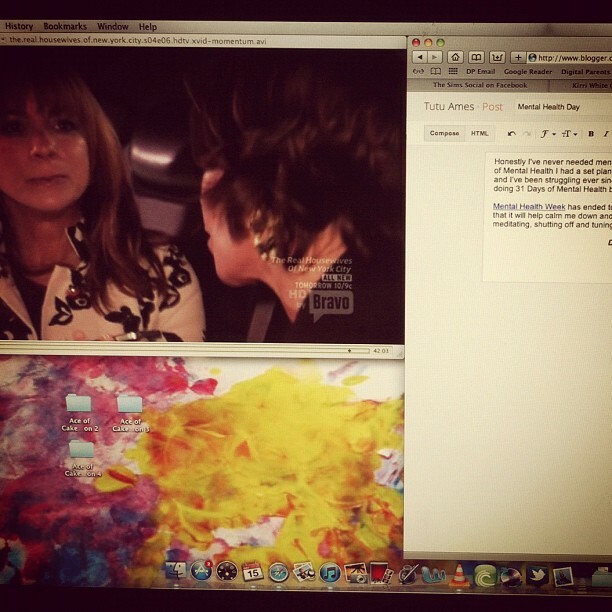 Real Housewives of New York and blogging = roaring Saturday night! Mental Health Week has ended today and I'm beginning Kirri's 14 Day Meditation Challenge. I'm hoping that it will help calm me down and help me continue the 31 Days challenge. I have trouble with meditating, shutting off and tuning in. Do you meditate? Any tips if you do? I used to meditate years ago and really should get back into it. This sounds like a great way to start. I am doing Kirri's challenge as well - new to meditation. 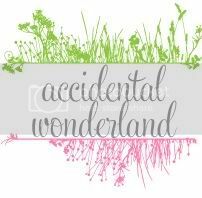 I think it is great that you are being kind to yoruself and lowering yoru expectations - when I saw you were going to post 31 days on mental health I was in awe as I am struggling to post even once a week (which was my goal for the subject) as I am too close to it. My aim now is just to get at least one post up if not 2 before October is gone. You have done an awesome job already and I hope you are feeling better for next week!